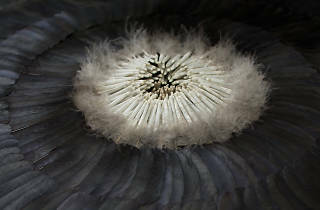 British artist Kate MccGwire uses bird feathers and bones to create gorgeous anthropomorphic sculptures and installations. Known for her anthropomorphic sculptures and dark graphite drawings, British artist Kate MccGwire presents a collection of mixed media sculptures, wall pieces and sketches, as well as installations made especially for this exhibition that delves into the theme of identity. 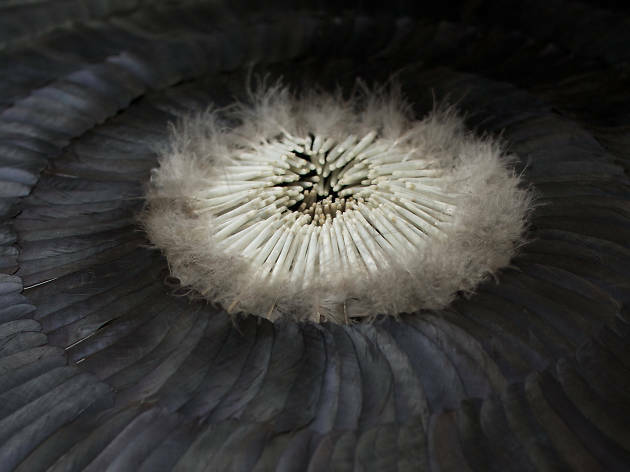 Using naturally discarded bird feathers, quills and bones, MccGwire’s sculptures highlights the beauty of natural materials.